Not my first combination of dragons and space, but definitely my most draconic, this is obviously a dragon of the old Ice Planet 2002 theme. 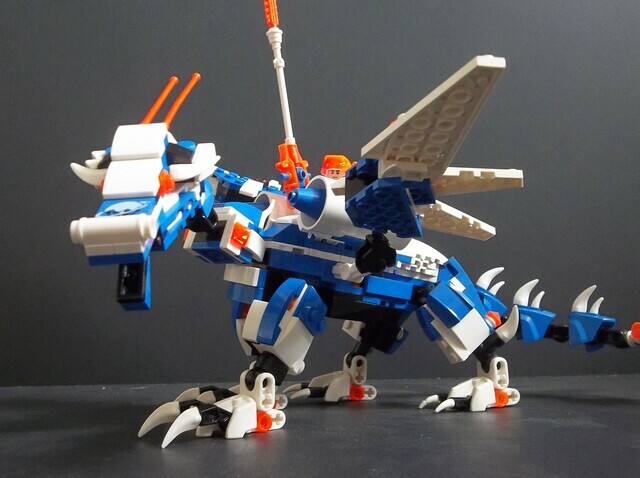 Ninjago has given us plenty of “elemental dragons” of all sorts of elements including ice, and in the past I’ve personally built “elemental dragons” of Steampunk (on the defunct LEGO Galleries, alas) and Classic Space. 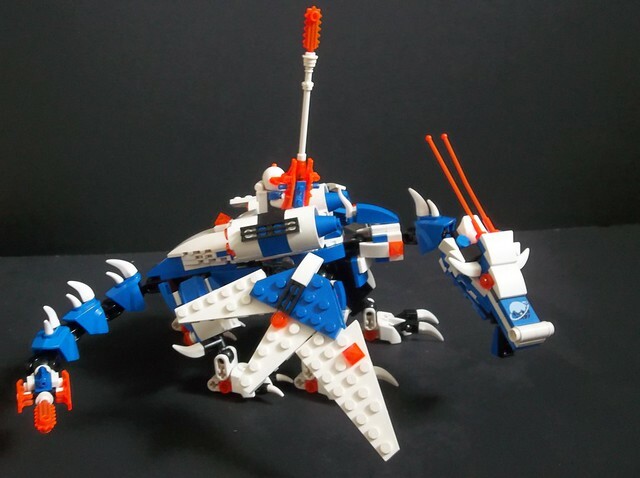 I had some ideas about building a Blacktron space dragon (which served as a partial inspiration for the Dragon-class Blacktron battlecruiser) but I’d never considered an Ice Planet elemental dragon before. The Elemental Dragon of Krysto is much more definitely a dragon than the fusional Classic Space variety, with a rider rather than a cockpit and those moulded dragon feet elements on its four legs. 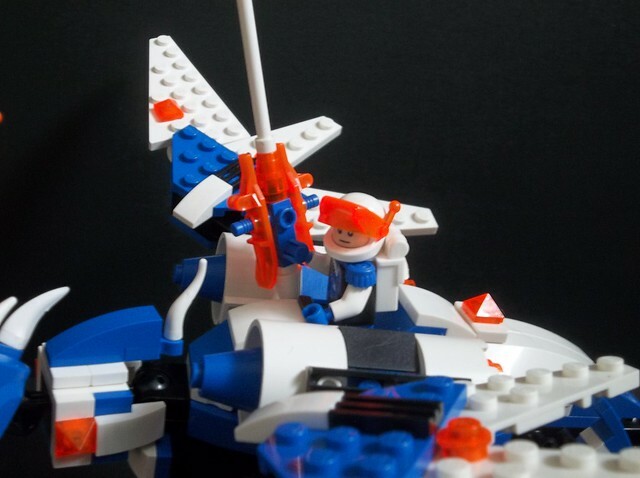 Still, Ice Planet 2002 did have a lot of open-cockpit vehicles, so I felt less need to enclose the crewman. 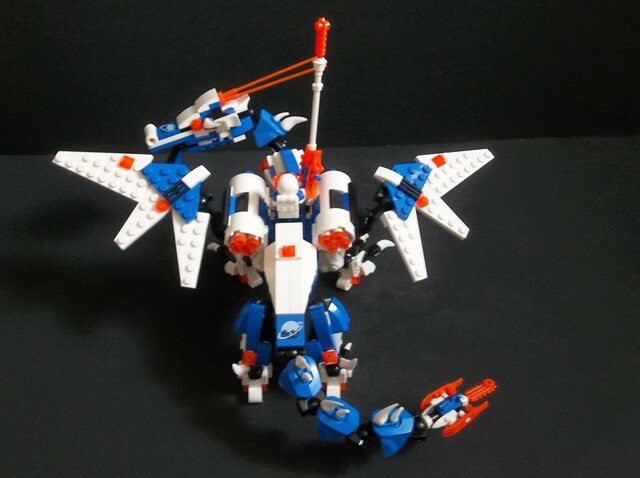 Sized about like the Jay’s Lightning Dragon or the first Zane’s Ice Dragon, about the only concessions to space vehiclehood here are the shoulder-mounted rocket engines and the bits of ice saw and skis at the end of the tail. Still, you couldn’t mistake it for anything but an Ice Planet dragon with its colours and Celestial Christmas Pudding logos. I’m fairly pleased with how this turned out, even with the CCBS elements on the neck and tail rather than being exclusively built. That shouldn’t really feel like a cheat, but somehow it does a bit. 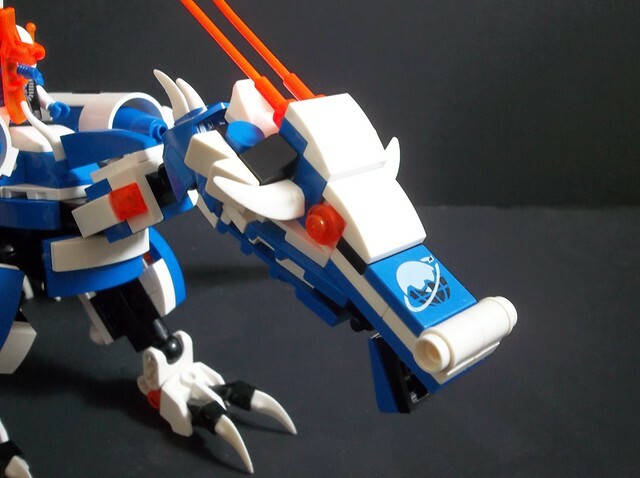 This entry was posted in Creatures, Dragons, Lego Classic Space, LEGO Ice Planet, Lego Space and tagged Dragon, Ice Planet 2002, Lego, MOC, Space Dragon on April 13, 2018 by geoffhorswood. This looks totally rad! Still really love that head design, and all the claws and spikes really tie it together somehow. 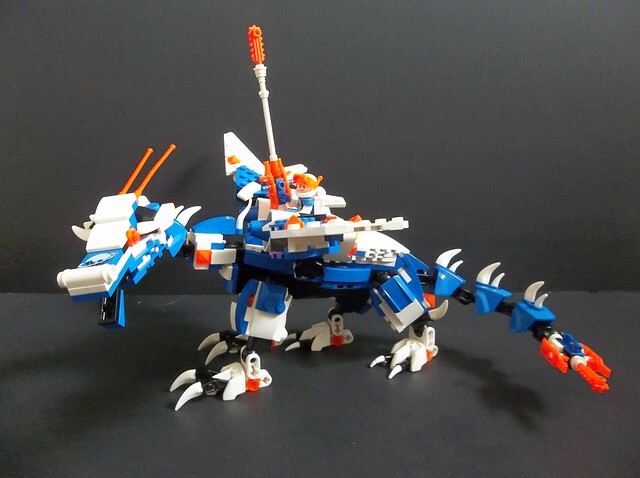 It’s a shame you probably couldn’t have two of these space dragons built at once, because it would be amazing to see them duke it out or something.